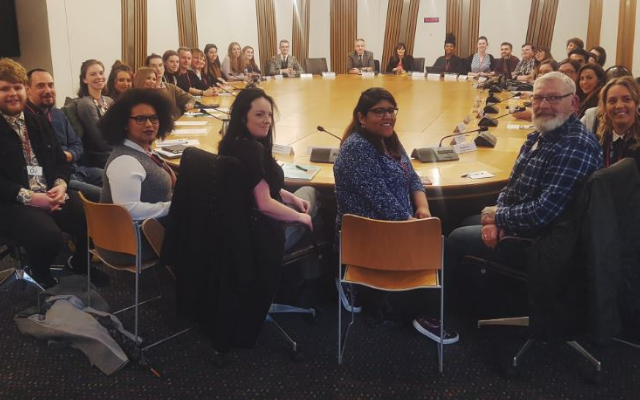 On 29 January the Scottish Parliament played host to the first ever student roundtable - giving students’ association officers from across Scotland the chance to quiz Scottish Government ministers. Organised by NUS Scotland, this was a fantastic opportunity for our movement to put students’ concerns on the political agenda. And, there were no shortage of questions from our student reps. Mental health support, student housing, cost-of-living support, funding for student associations, the disastrous roll-out of Universal Credit, support for student parents and carers, gender based violence– these issues were some amongst the many our movement was able to put to Scotland’s decision-makers. We hope that the Student Roundtable will become an annual event, and we’re pleased that the Government is open to this. Find out a bit more about what came up with this Twitter thread. We’ll be following up with the Scottish Government, so if you’ve any particular issues you’d like me to raise, just get in touch! The Scottish Government also announced good news for Think Positive – NUS Scotland’s mental health project. New investment of £36,000 will allow the project to build on the support provided to students’ associations and institutions to work jointly on student mental health issues. This of course builds on the Scottish Government’s commitment to recruit 80 additional counsellors over the next four years, beginning in academic year 2019/20 – in no small part down to our movement’s campaigning efforts. Read more about the good news here. To mark the success of the event, the Scottish Government and NUS Scotland issued a joint statement with the Scottish Government. Together, we noted that while we want to celebrate what we have achieved together, we also want to challenge each other to go further. As was made clear during the roundtable, I’m sure our movement will have no problem pushing for further progress on the many issues raised. If you want to influence our movement’s priorities over the next year, the deadlines for proposals to conference (7 February) and nominations for elections (28 February) are fast approaching. 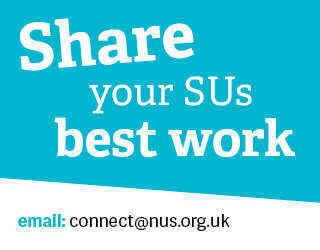 For details on how stand or put forward policy, check out our dedicated conference hub.